A copy of the draft Resolution to be adopted at the UNHRC session in Geneva was tabled in Parliament yesterday by Leader of the House and Minister Lakshman Kiriella. The resolution submitted by six states, namely Canada, Germany, Montenegro, North Macedonia, the United Kingdom and Northern Ireland, requests to the Office of the UN High Commissioner to continue to assess progress on the implementation of its recommendations and present a comprehensive report in two years’ time. 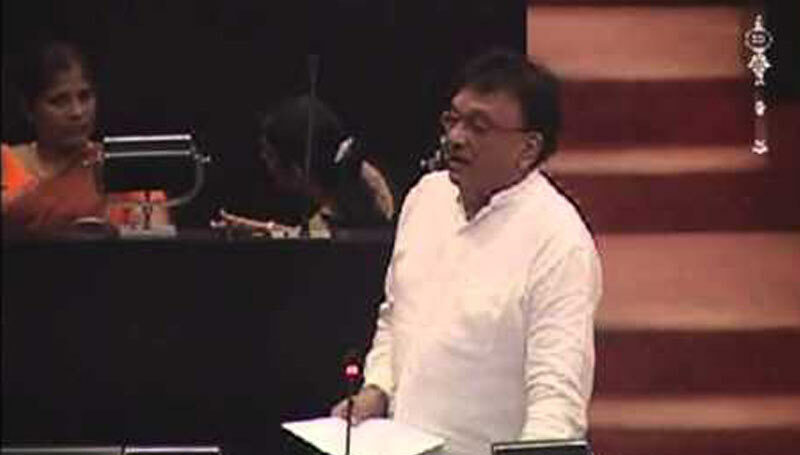 Participating in the Committee Stage of the budget debate, Minister Kiriella said that the draft resolution is favourable to Sri Lanka. “This is a good resolution. I ask Mahinda Samarasinghe why you want to change this. The Executive, the Legislature and the Judiciary should have their own responsibilities and limits. We should know our limits. The President should understand his limits. If we try to step on the toes of each other then there would be chaos. He showed that he does not know his limits. We made him the President. He made the one who defeated him the Prime Minister. That was against the people’s mandate,” he commented.